Eratosthenes was one of the most famous mathematicians in the early times. He was famous for his sieve – a strategy for finding prime numbers – but one of his greatest achievements was estimating the circumference of the earth. In this post, we learn how Eratosthenes used mathematics to solve the size of the earth. We leave out some of the technical details (such that the assumption that the sun is so far away that its rays are almost parallel), since this post is for elementary school mathematics students. Eratosthenes knew that at noon in Syene, the sun casts no shadows. 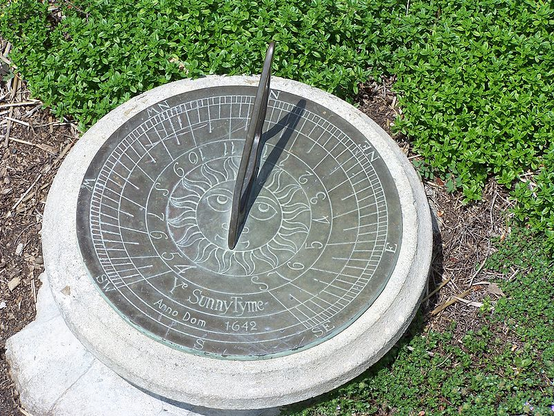 This can be tested using a sundial – a device used to tell the time using its shadow during the ancient time.